“One of the main objectives of the course is to develop knowledge, skills and disposition in our students so that they can be stewards for the common good,” stated Dr. Shelly Fairbairn. Fairbairn, along with two other professors, Dr. Sally R Beisser and Lynda Brown are on Ambergris Caye with 21 students from Drake University located in Des Moines, Iowa, USA. The students have been divided into three groups, working along with the Belize Strombus gigas Alliance (SGA), Marco Gonzalez Maya Archeological Site and Holy Cross Anglican School. During their 12-day stay on the island, the students have been involved in several projects that have given them a taste of the real world. This is the ninth consecutive year that Drake University has been sending students to Belize and the second time they have done so in January. The January group is on the island as part of their course called January Term. 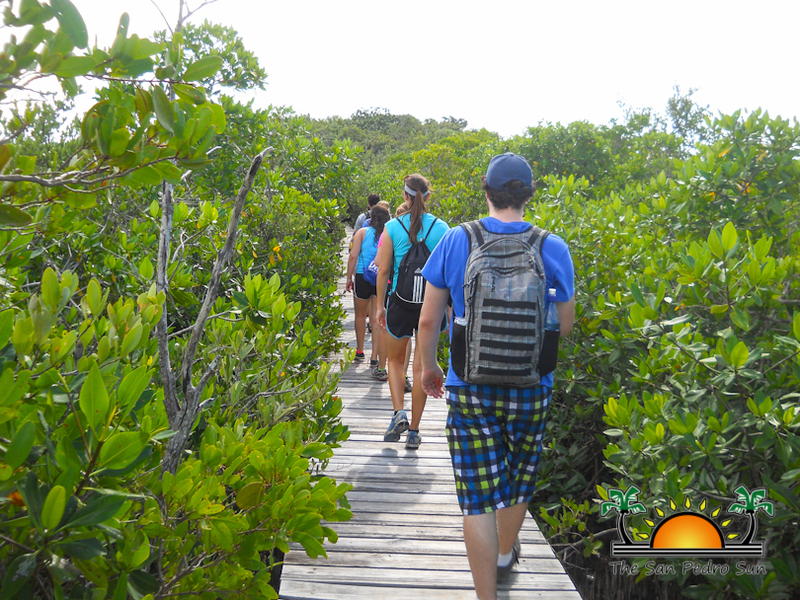 According to the three professors accompanying the students, the personal experience on trips, such as the one on the island, is a life changing one for the participants. “Part of our mission statement is to prepare students to be responsible global citizens,” said Dr Fairbairn. Because the students are from multiple majors, their knowledge is vast. As such, while in Belize, they have concentrated their efforts in three areas. 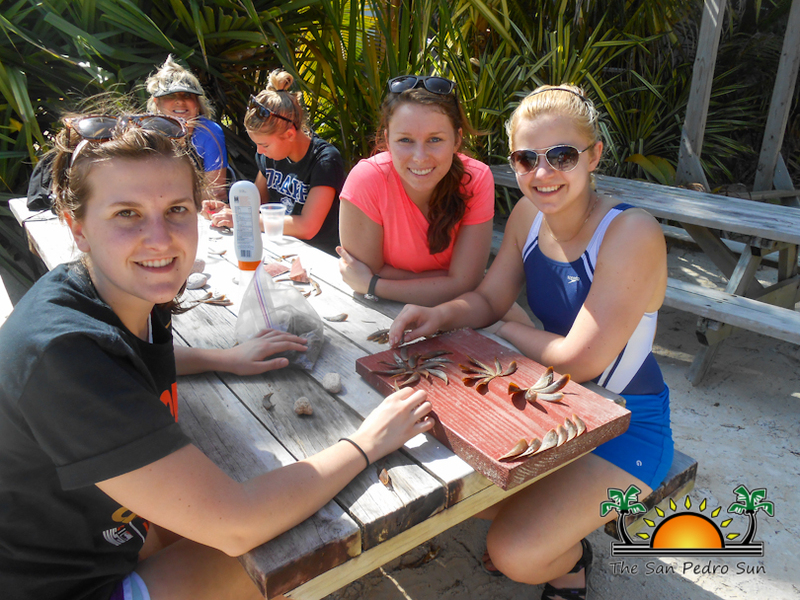 Those areas of service include learning about and studying Strombus gigas (Caribbean Queen Conch), the Maya and archeology and volunteering and teaching. “The students take a required course in the Drake program to extend their areas of inquiry and this one is called ‘Engaged Citizenship,’ which makes them learn more about being global citizens,” said Dr. Beisser. 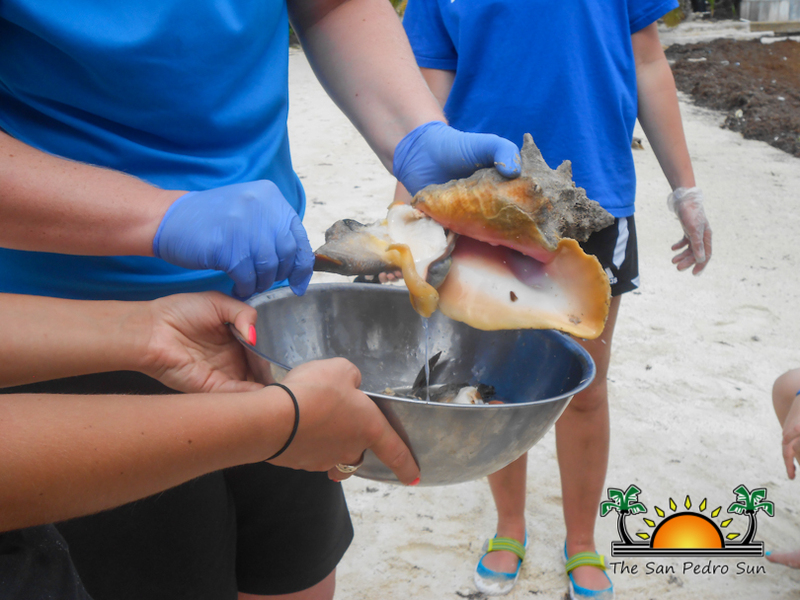 Dr Beisser, along with six of her students, worked with Dr Dianne Lawrence from the SGA, exploring the feasibility of the use of the entire conch. 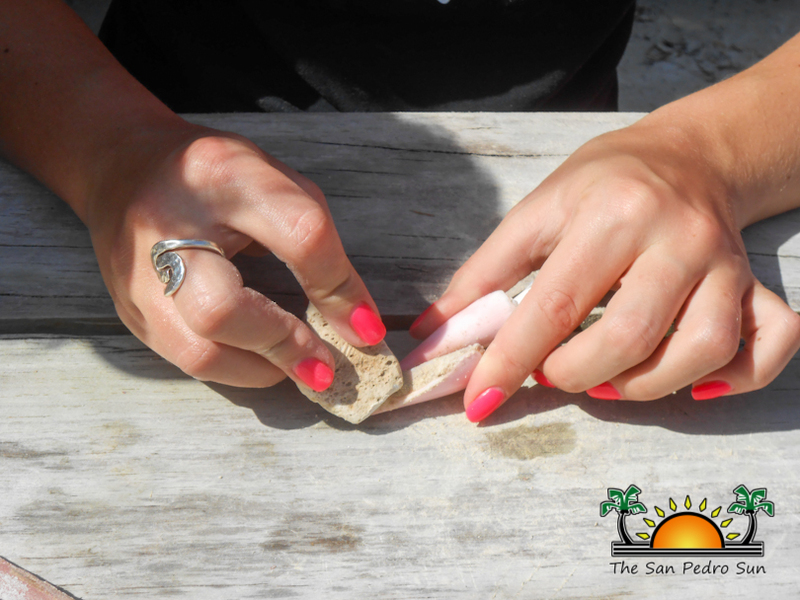 According to Beisser, the students had the opportunity to study the conch from its natural habitat up to the possible uses and its economic importance. “It helps us understand the complexity of the conch and to know the importance in the fishing industry and the appeal for other possible marketing areas without interfering with the traditional uses of the conch,’ outlined Beisser. Meanwhile Dr. Fairbairn and six students worked with Jan Brown from the Marco Gonzalez Maya Archeological Site. “We are learning about the reserve and doing some maintenance. Our major project is to create a video to heighten awareness about this site.” The Drake University students have been interviewing various people living on the island, including students about their knowledge of the archeological site. The interview will form part of a series of video productions. 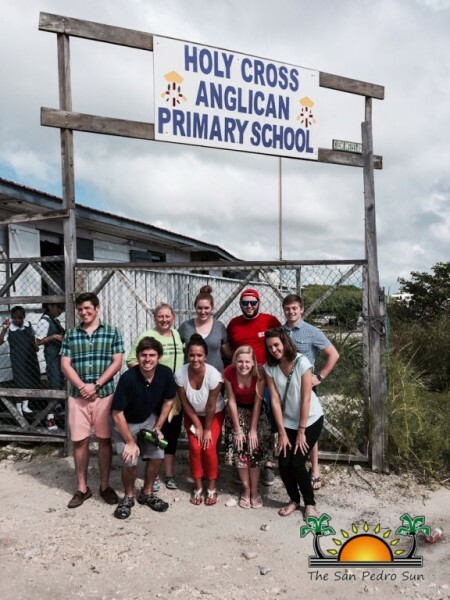 The third group of students consisting of Brown and nine students who worked closely with the students and teachers of Holy Cross Anglican School. “Some of the participants are in the classroom working with students and helping the teachers. Some of the Drake students are scraping and painting the computer lab and pre-school. The focus is to share knowledge with the teachers that are there in an effort to look at the possibility of going fully into teaching or not. This will help them to build awareness about what is happening outside of their communities,” said Brown. 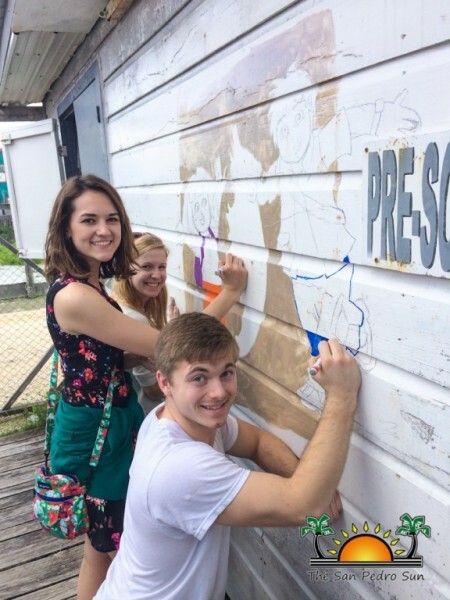 As part of their visit to Belize, the students are required to provide written reflection pieces on their entire experience and how it has impacted them. They are also expected to share their life changing experience at various forums at the university. 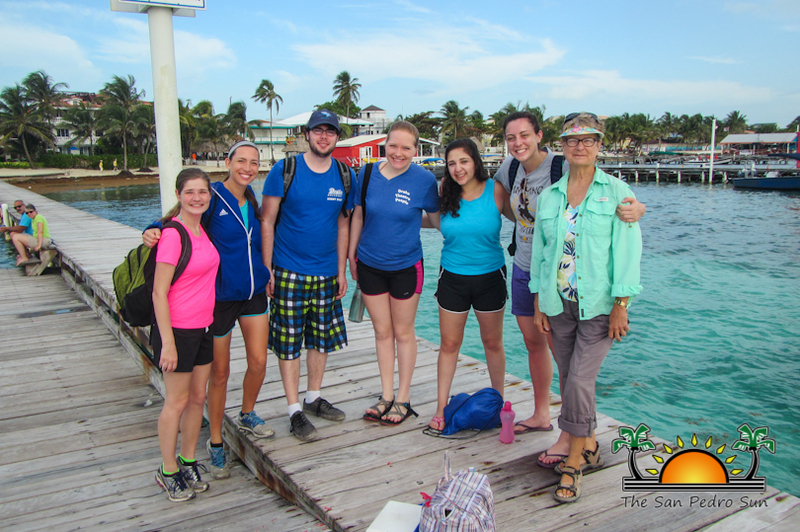 The students came to Belize on January 6th and are expected to leave on the 17th of January. Belize SGA would like to thank the following people and businesses who helped to make the students’ experience a success – Blue Tang Inn, Rendezvous Restaurant and Winery, Scuba Steve, Mrs. Julia Martinez at the Black and White Garifuna Cultural Center, Coastal Xpress, Hol Chan Marine Reserve and Carlo and Ernie's Runway Bar.